Is your natural hair in need of a healthy boost? My hair has been natural most of my life. I wore a relaxer for only a few years during my early teen years. My experience with my own natural hair has been my biggest teacher after deciding to ditch the chemicals early on in my life. I picked up braiding as a hobby during my early teen years as well. It has been a divine gift that keeps on giving. I turned my hobby into a profession after honing my skills during high school, college, and while serving in the military. 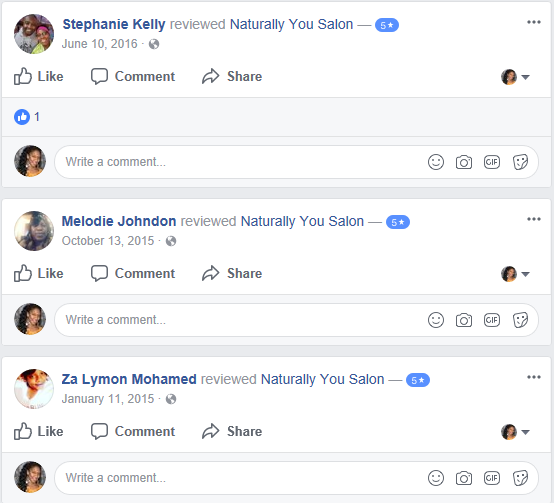 I have been styling and maintaining natural hair as a licensed professional since 2001. My hair care service focuses on helping women learn to handle and wear their natural hair with care, love, and confidence. As you may or may not know natural hair thrives best when you are an active participant on your journey to healthy hair. It is unrealistic to expect someone else to be solely responsible for keeping your hair healthy. New service options focus on empowering women to take an active role in their journey to healthy natural hair. 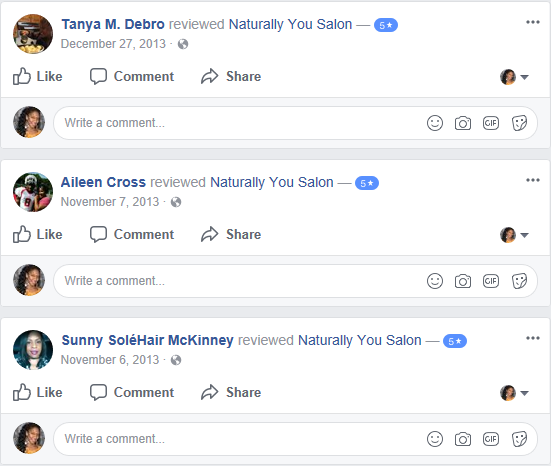 I offer online video consultations for naturals who are confident in their skills, but could use a little help trouble shooting concerns about styling, nighttime maintenance, moisture retention, products selection and use, and much more.